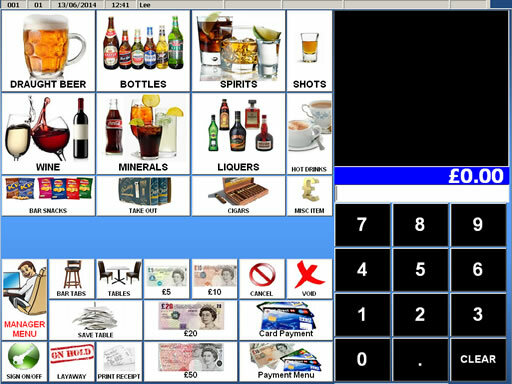 The T3000 package is an advanced Windows-based touch screen EPoS system for bars, cafes, restaurants and take-away operations. 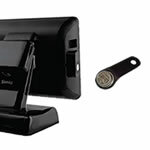 It is our most popular package solution for busy operations due to the popular CES Touch EPOS software which is flexible, reliable and proven and the high-performance Sam4s Titan S265V terminal with a modern slimline design, small footprint, Windows 10, a range of peripheral options and its 3 year warranty. 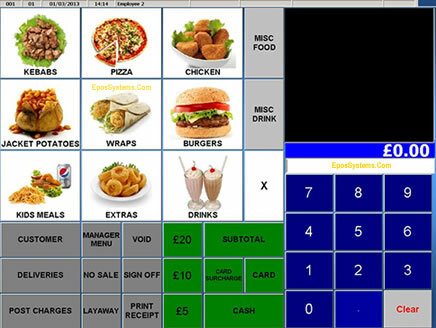 Whether you run a cafe, pub, nightclub, restaurant, takeaway or a food delivery operation, the T3000 EPoS package is loaded with comprehensive features to support your business. Yet it is fast to set up and simple to use. The T3000 can be operated as a single terminal system or a network of multiple terminals. The standard system includes fast Point-of-Sale functions, stock control, comprehensive sales reporting, staff performance monitoring, sales accounting reports and a range of management analysis reports. The system supports multiple Kitchen Printers and Wireless Waiter Tablets. 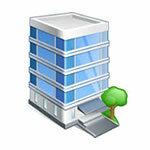 The optional Backoffice System allows remote system management and advance reporting. Optionally add integrated credit card processing, otherwise you can also use your own credit card machine alongside the system. The wealth of advanced capabilities make the T3000 totally flexible and scalable, allowing you to implement and benefit from its many features from the outset or as and when your business grows or your needs change. If you want faster transaction processing, fewer staff errors, improved customer service, tighter stock control, accurate sales and financial reporting or better security, the system configuration can be customised to match your current and ongoing needs. 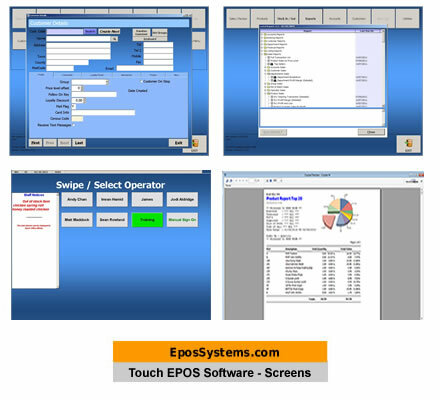 Each package from EposSystems.Com is supplied with a touchscreen terminal, epos software, a fast thermal receipt printer and a secure cash drawer. Discounts by customer, by transaction or by line item. £ or %. Dimensions (approx) Height: 110mm Depth: 410mm Width: 410mm. The Package includes 3 year warranty on all equipment. With the Service Pack purchase you receive initial programming of your food/drinks menu and other system features, a remote training session to operate and manage the system and an annual support subscription to provide software support by phone, email and remote access (with internet connection) during office hours Monday-Friday. 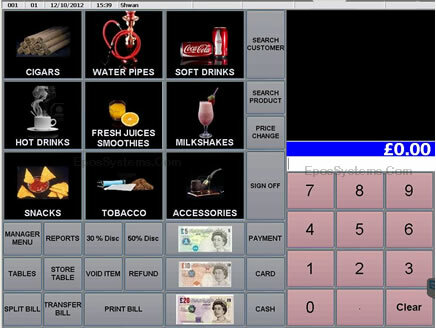 The epos software is provided on a permanent licence - there are NO ongoing mandatory licence / support fees. It is NOT necessary to have an internet connection or Back Office PC to operate the system. Everything required is included in the stand-alone package. If you do wish to have remote reporting and remote system management, then the optional Back Office software provides these features using an internet connection. The Service Pack includes initial set up of the system with your business details and menu/products, a 2 hour remote training session and a Level One Annual Support Subscription. 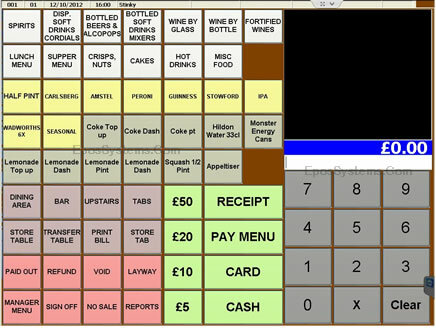 All our systems include a permanent EPOS software license that is part of the original package cost - you never have to pay any ongoing monthly or annual software license fees to continue using our systems - you only pay once at the start and that is it. On-Site Setup & Training at your premises, installation, network cabling and enhanced Support Subscriptions are available - please ask for a quote. Integrated rear 2-line VFD customer display for the Titan S160 terminal. Displays the product name and price, transaction total and change due. In idle mode, it will display a welcome message. Integrated graphical colour rear 9.7" LCD display for the Titan S160 terminal. Displays multiple lines of the transaction and the Total Due while sale is in progress and your advertising content around the transaction window. Alternatively, the transaction details can be excluded (or limited to just the Total Due) and the whole display can be used for advertising content. The advertising content can be made up preset graphical images (jpg files) for advertising - either static or multiple scrolling images. You can easily update the content whenever you like. We can also offer non-integrated advertising displays in sizes from 8" - 19" +. 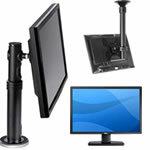 These can be pole mounted or fixed to a counter-top stand. 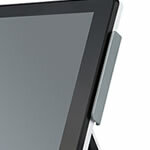 They connect with a VGA cable to the secondary VGA port of the touchscreen terminal and use their own power supply. The advertising content can be made up of text boxes and preset graphical images (jpg files) for advertising - either static or multiple scrolling images or text boxes, as well as videos (mp4 files) and a link to a live website with HTML content or locally stored HTML files. You can easily update the content whenever you like. Ideal for showing menus, promotions, pictures of your dishes/products, special offers and other store news. 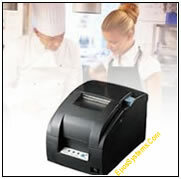 We recommend Bixolon (formerly Samsung) SRP275 impact printers for kitchen tickets as the plain paper and ink is more resilient and less prone to fading from steam / liquid, and the printer makes a noise while printing, thereby alerting kitchen staff of a new order. Bixolon printers come with a 2 year manufacturers warranty. For Serial printers, a 2m data cable is included. Longer cable lengths (high quality shielded serial cables) are available upto 30metres length at £20 plus £1 per metre. Please note: If you book on-site installation, our service does not include any drilling, trunking, climbing or removal of floorboards, skirting, tiles or furniture. You will need to contract a professional tradesman / electrician to properly run, fit and test your data cables. Ethernet cables must be properly terminated with either a Cat5 socket or RJ45 plug, and tested prior to installation. CES Touch Back Office is a web-based back office system. It allows remote reporting and centralised product/prices management as well as stock reporting and various other reports. 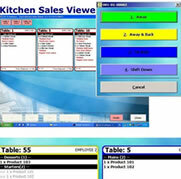 Commercial-grade 8" Windows Tablet for wireless waiter use. Allows orders to be instantly communicated to the kitchen, improving productivity, reducing errors and writing time and increasing customer satisfaction. The tablet has the same screen layouts as the 15" touchscreen, so all features such as Bill printing are also available on the Waiter Tablet. Requires good quality WiFi signal within the areas of your premises where the tablet(s) will be used. Price includes HiSense 8" Windows Tablet, Windows 10 IoT, with charging dock and CES Touch llifetime software license. 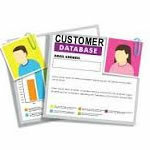 The Customer Database stores name, address, email, photo and telephone numbers of your customers, allows you to categorise them, assign them to Price Level (eg. Members Pricing) and also operate prepaid accounts, where you can accept deposits and run up transactions against the account balance. The Expiry Date feature allows it to be used for subscriptions and membership renewals too - perfect for social clubs and sports clubs with a membership database. With the Loyalty Points features, your customers can earn points for individual product purchases or by transaction value, and redeem the points value (as defined by you) against future purchases. You can use plastic cards with either a magstripe or barcode to identify members - your terminal will require an MSR Reader or Barcode Scanner. Module price is per terminal. A multi-site edition is available allowing your customers to use their Loyalty Points at multiple branches - contact us with your requirements for pricing details. Module for 1 analog phone line and 1 touchscreen terminal. 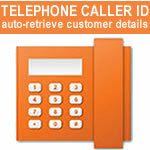 You will need to have the Caller ID service enabled by your telephone service provider. When the phone rings, the telephone number will display in a window on the EPOS software, together with the Name & Address of the customer (if exists in the database) or otherwise you can add the new customer record to the database. Also option to view Previous Orders for each customer. 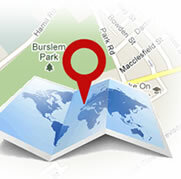 Live postal address lookup from postcode entry when adding new records to the Customer Database. Requires internet connectivity. Annual subscription to Royal Mail provider is per terminal user and cost is per postal region (eg. LS region for all Leeds postcodes, WF region for all Wakefield postcodes), with unlimited lookups. It can help waiting staff work faster and makes fewer mistakes. You will need to setup a dedicated new merchant account via ourselves. 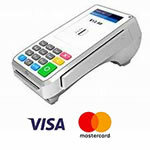 After completing account setup formalties, the merchant account provider will then supply a compatible card terminal loaded with the appropriate software for use with the CES Touch epos software and we will assist with it's integration to the epos system. The standard terminal is a wired terminal that requires connection to your Router and internet access. You cannot use any other merchant account or existing account for integrated card payment processing. Only a new merchant account set up via ourselves will be integrated by us. 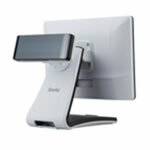 Available either as a 15" Wall Mounted Touchscreen, or as a 19" LCD Monitor with Keypad and Mini PC. Kitchen software included. Orders are shown on the Kitchen Monitor with time, and can be set to flash overdue when a preset time limit has been reached. 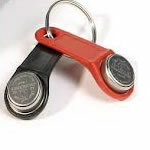 Integrated Dallas Key fob reader for use with magnetic dallas keys. 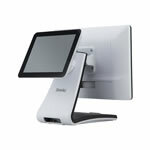 Ideal for busy environments where multiple staff share the same terminal(s). Dallas keys are much faster than keying a PIN number, and they are more secure than using on-screen name buttons. When a staff member places their dallas key on the reader, it will resume from where they previously left off. In a networked environment, staff can recall partial transactions from any terminal. 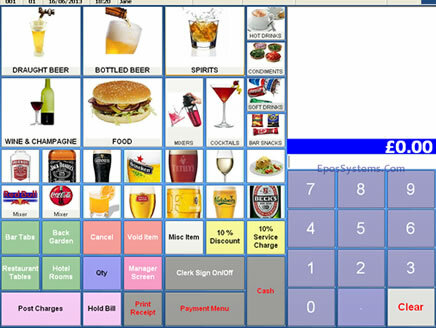 In a fast paced environment with multiple staff sharing the same terminals, Dallas Key Fobs allows staff to logon and logoff the epos system quickly and securely. Keys are reusable and can be re-allocated to replacement staff. Note: Requires a Dallas Key Reader to be fitted to the touchscreen terminal - see below. Integrated 3-track Magstripe Card Reader for Titan S160 terminal. For use with Membership Cards, Loyalty Cards, Club Cards etc where data is encoded on a magnetic stripe on the back of the plastic card. 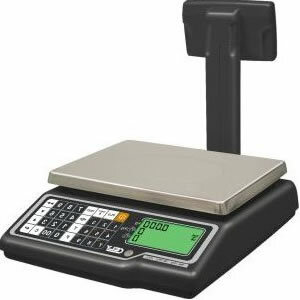 Trade-approved integrated POS scale with RS232 serial interface. 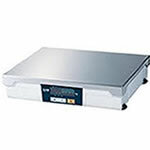 Suitable for delis and supermarkets for automated priced of weighed items such as cheese, meat, fish, fruit and veg. 6kg or 15kg capacity. Option for Pole Display that shows the weight, additional £90. 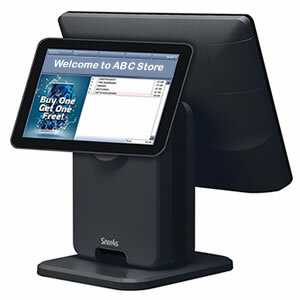 Trade-approved integrated POS scale with pole display and RS232 serial interface. Suitable for delis and supermarkets for automated priced of weighed items such as cheese, meat, fish, fruit and veg. 15kg capacity. Trade-approved integrated POS scale with pole display and RS232 serial interface. 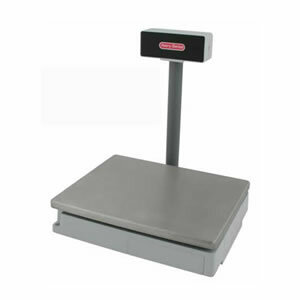 Suitable for delis and supermarkets for automated priced of weighed items such as cheese, meat, fish, fruit and veg. Available in 6kg or 15kg capacity. With its keypad, the Dibal G can also be switched to be used as a stand-alone weighing scale. with Pole Display and RS232/USB interface. 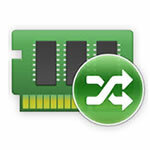 Memory upgrades are factory-fitted and recommended only at the time of initial order. If you wish to upgrade memory at a future date, the terminal will need to be returned to the Sam4s Service Centre to avoid invalidating the warranty. For SSD storage, due to Microsoft Windows 10 IoT license installation, the option to upgrade to 128gb is only available from us at the time of initial order.. 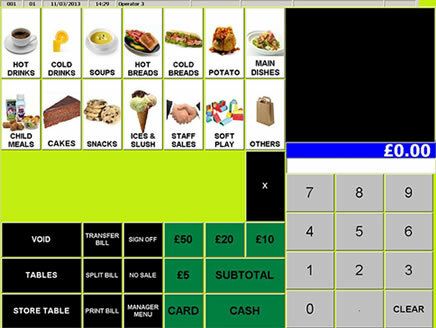 The Sales Screens can be customised for your particular business with your colour scheme, your food and drink items, and all the functions you require such as "Discount", "Refund", "Split Bill", "Eat In", " Take Away" etc. You can easily make additions and changes to items and prices as and when required. Click an image below to expand. Pop-up menus for cooking instructions (eg "mild", "spicy") or condiments ("ketchup", "mayonnaise") or modifiers ("no onions", "extra cucumber") can also be defined. 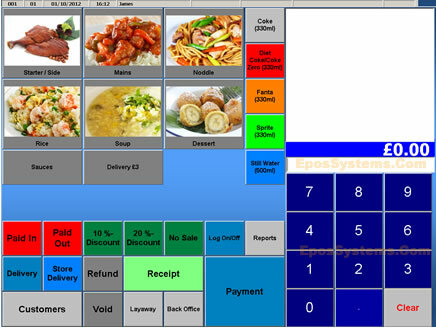 The individual buttons can be colour-coded and contain text or graphical images of your menu items. Whether you operate an Indian restaurant, a Mexican, Sri Lankan, Thai, Italian or any other type of restaurant, a chicken take-away, or a pizzeria the screens can be customised for your type of business. Optionally link to Weighing Scale for fruit/veg, meat, fish, salads etc. Screen can auto-close after 1 item, or can remain till closed. Split bill payment and "Go Dutch"
Express Same Day Despatch Option £45 : If you require same day despatch of the T3000 system for delivery to a UK Mainland address within 1-3 working days, your order with cleared payment must be completed by 12noon Monday-Friday. Setup & Training Service: As part of a Service Pack purchase, your food/drinks menu will initially be setup by us remotely and uploaded to your system. Typically, for Standard Programming, this is done within 2-3 working days from our receipt of your Food/Drinks menu and the completed Programming Form. The Service Pack also includes a remote training session and a Level One software support subscription. Friday 19-April-2019 23:35 Our office is currently closed. We will be open again from 10am tomorrow.